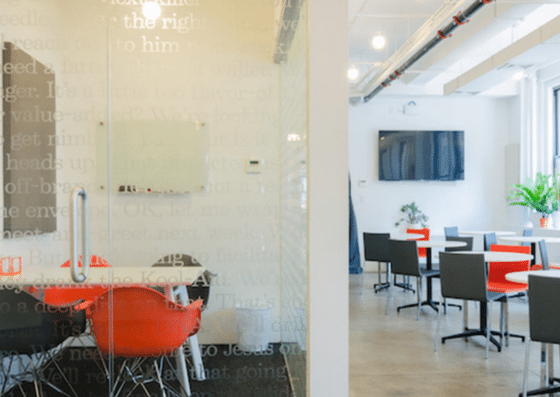 Nomad Works (West/Vesey) is a coworking space located at 140 West Street, NY. 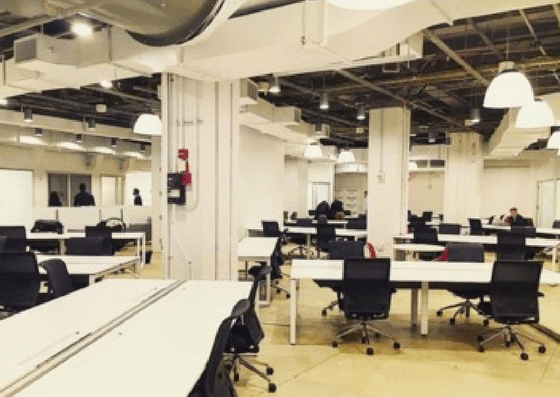 They offer open coworking spaces ranging from $40/day to $500/month, dedicated desks that cost $550-$600/month, private offices that start at $800/month, and conference room use that requires a $10/month fee. Their amenities include mail services, event space, and more. 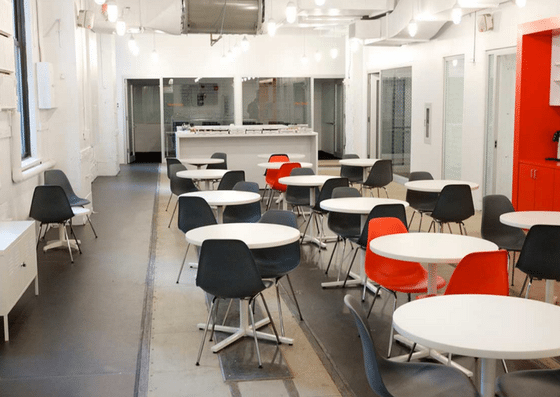 Nomad Works (West/Vesey) offers use of their coworking space for $40/day. Weeknights and weekend use of the coworking space costs $250/month. A monthly open coworking plan is $500/month. A dedicated desk ranges from $550-$600/month. Private offices start at $800/month. Conference room use requires a $10/month membership fee + a discounted hourly rate.